Jay Casey shoves all in holding K♥10♥ and gets called by Michael Dobbs holding K♣7♣. The flop comes A♥7♥6♦ giving Casey a flush draw, but giving Dobbs the lead with his pair of sevens. Dobbs maintains his lead when the turn comes the 4♦. The river is the K♦ giving Dobbs two pair, and eliminating Casey in second place. 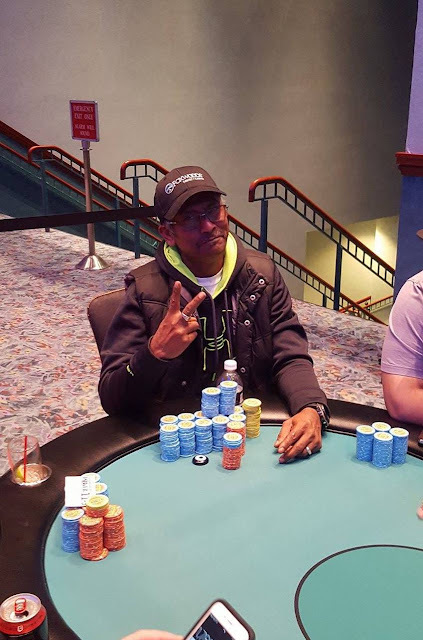 Darrell Blodgett shoved all in holding A♣6♦ and got called by Michael Dobbs holdig A♥9♣. The board ran out 9♥7♠5♠6♠3♦ awarding Dobbs the pot, and eliminating Blodgett in 3rd place. It folds to Michael Dobbs in the small blind who raises to 300,000. 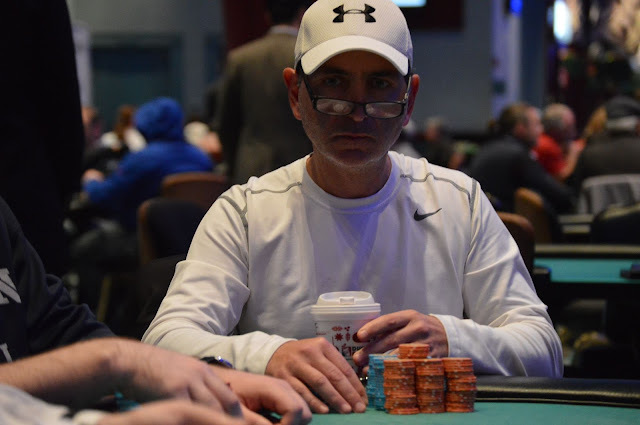 Tony Lanteri shoves all in from the big blind for around 2,800,000 and Dobbs calls. 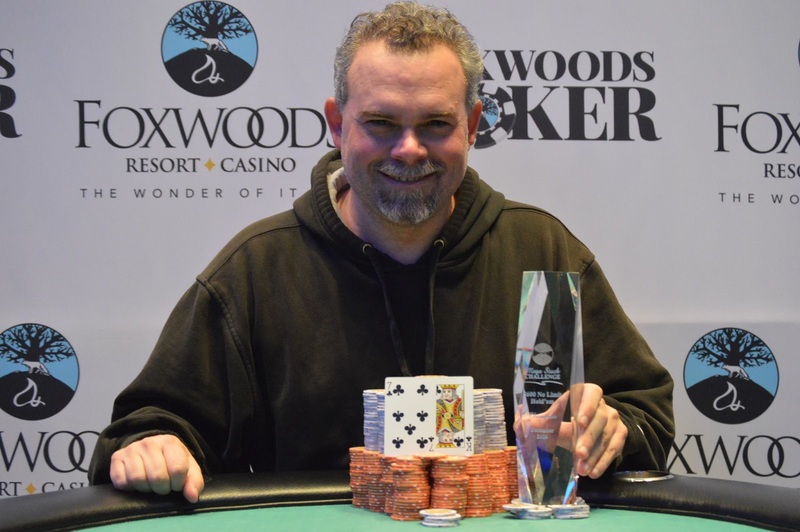 The board runs out K♠7♣2♣4♥3♦ awarding Dobbs the pot, and eliminating Lanteri in 4th place. The board reads 9♥5♠4♥. 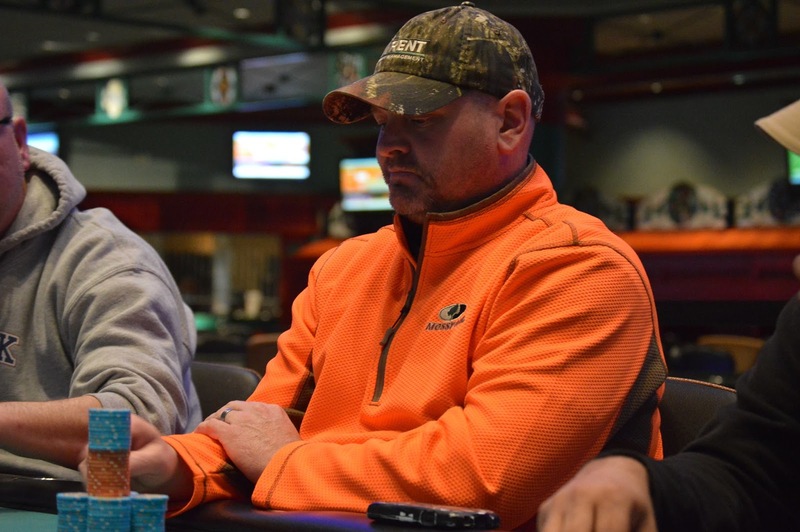 Stephen LaPoint checks in the small blind and Michael Dobbs bets 350,000 from under the gun. LaPoinnt calls. The turn is the 8♣. LaPoint checks, Dobbs bets 550,000, LaPoint announces that he is all in, and Dobbs snap-calls. Dobbs turns over 6♠7♣ for a straight. LaPoint turns over 10♠9♣ and says, "Drawing dead, huh?" Dobbs responds with a simple, "Yep." 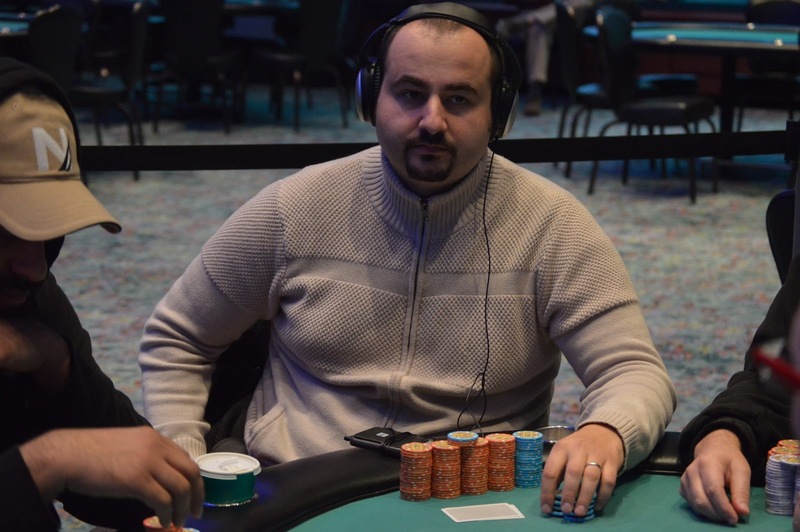 The A♠ river does not change the hand and LaPoint is eliminated in 5th place. Tony Lanteri raises to 250,000 on the button. 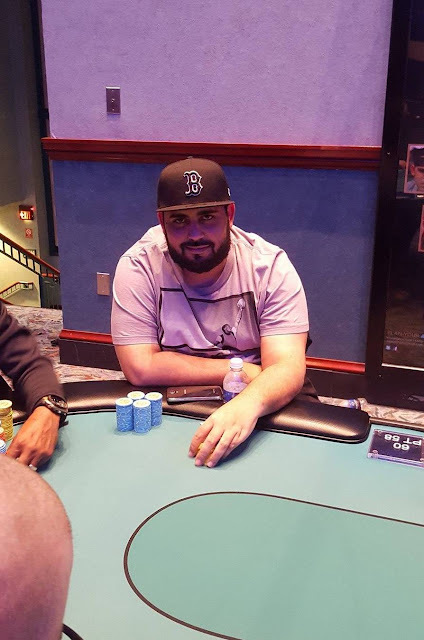 Vito Masi calls in the small blind and Stephen LaPoint calls in the big blind saying, "Alright, let's see a flop." The flop comes J♦10♦6♦ and Masi shoves all in. LaPoint pauses for a few seconds before folding and Lanteri looks down at his cards, pauses for a few seconds, and calls. The 8♠ turn and 5♦ river do not improve Masi's hand and he is eliminated from play in 6th place. Jay Casey raises to 230,000 from under the gun, and Darrell Blodgett calls in the small blind. The flop comes 6♠5♠3♠. 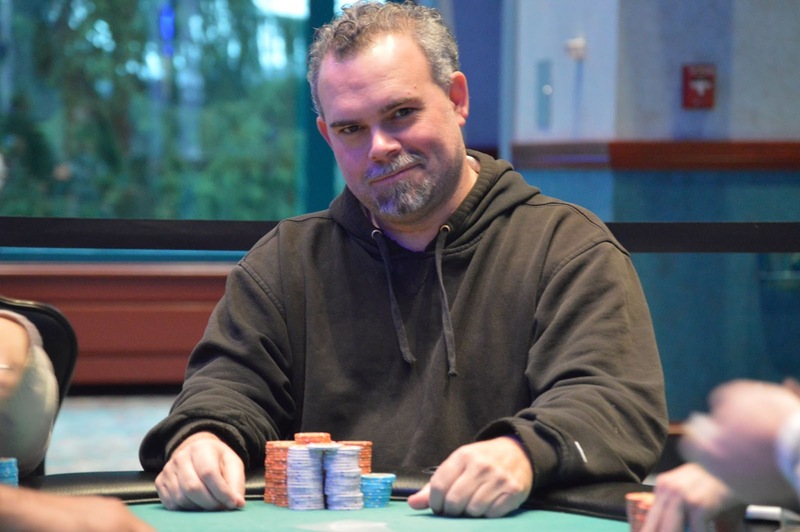 Blodgett checks, Casey shoves all in, and Blodgett calls for his remaining 200,000. The turn is the 9♠ and Blodgett stands up and says, "Yesss," as he hits the flush to take the lead. 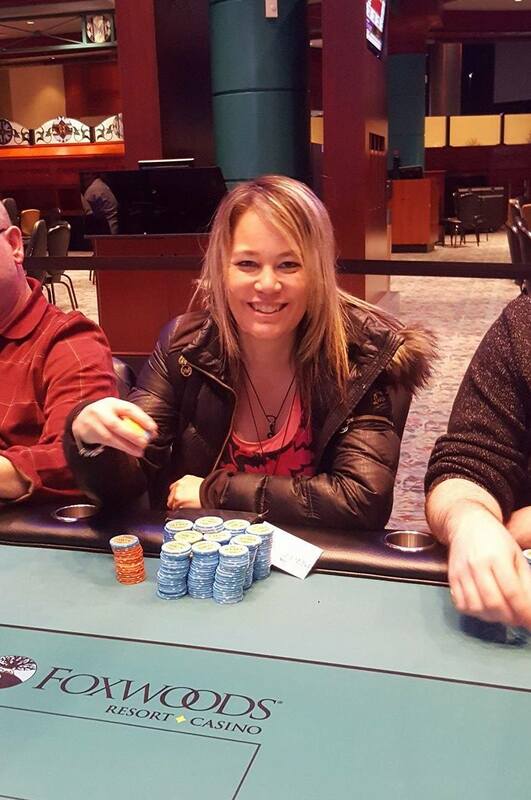 The river is the 8♥ and Blodgett doubles up. 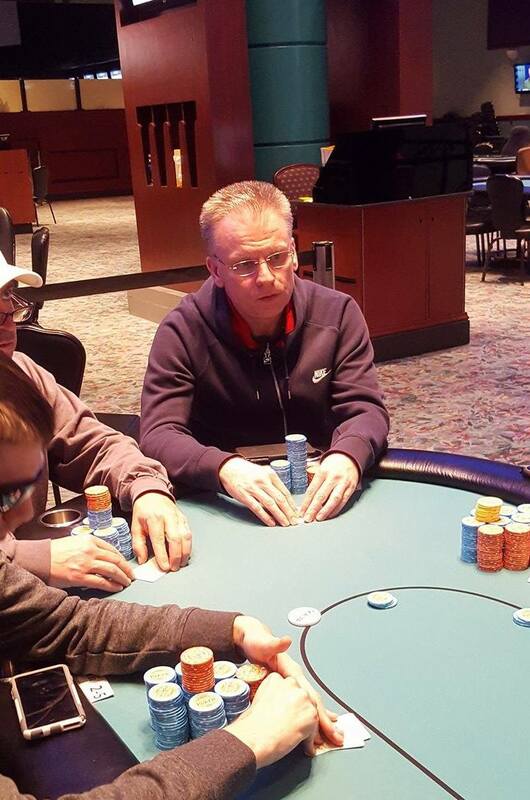 Action folds to Eugene Roemischer on the button who shoves all in for around 2,000,000, and Michael Dobbs calls in the small blind. The board runs out J♣8♣6♦3♥4♦ eliminating Roemischer from play, and awarding Dobbs the pot to further increase his chip lead. 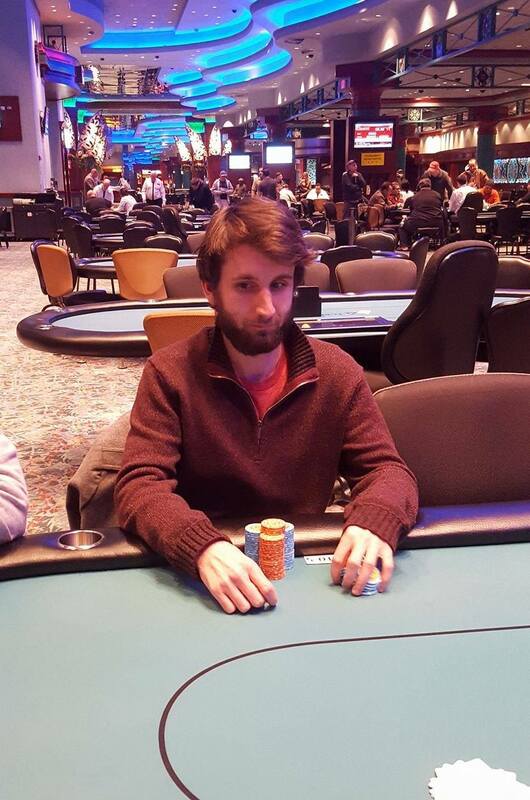 After the recent elimination of Daniel Podheiser in 9th place, Ian Marderness was just eliminated in 8th place. In a blind versus blind situation Marderness shoved all in holding Q♦5♠ and got called by Michael Dobbs holding A♦10♠. The flop came 4♦9♠8♣ maintaining Dobb's lead when ace high. The 7♣ turn maintained that lead. The 3♥ river did not change the hand, and Marderness is eliminated in 8th place. Anthony Lanteri shoves all in for 1,370,000, and Daniel Podheiser reshoves for more. All remaining players fold. The board runs out 4♠3♦2♥K♦A♥, improving Lanteri's hand to a set of aces to double up, and leaving Podheiser short. Michael Dobbs raises to 140,000 in early position and gets three callers. The flop comes 5♣3♠2♠. Darrell Blodgett bets 500,000 from the small blind, and only Stephen LaPoint calls on the button. The turn is the 7♦. 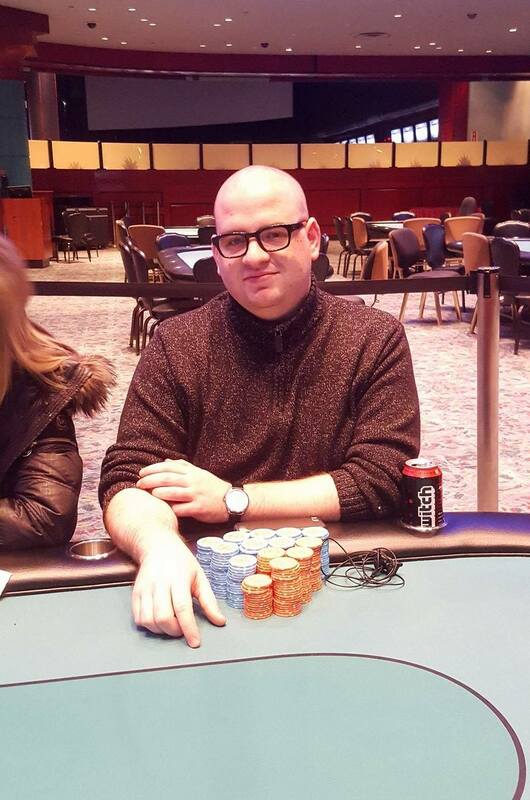 Blodgett bets 500,000 again, and LaPoint calls. The river is the K♣ and this time Blodgett announces that he is all in, having LaPoint covered. LaPoint calls and turns over K♠5♠, having flopped top pair and a flush draw, and rivering two pair. Blodgett mucks his cards. 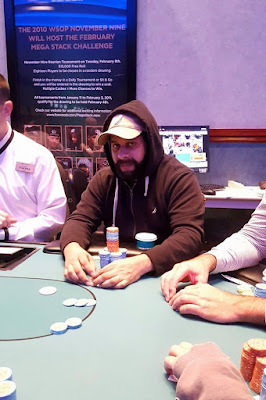 Tony Mascia shoves all in from early position for 600,000, and Vito Masi reshoves for more in middle position. The rest of the players fold, and the two table their hands. "I haven't hit a set all tournament," Mascia says as he turns over 9♥9♦. Mascia is behind as Masi is holding a higher pair, K♥K♦. The board runs out Q♣8♣6♥J♥5♥ awarding Masi the pot, and eliminating Masica in 10th place. Event #1 - Peter Sennon Eliminated in 11th Place ($7,429) By Jay K.C. Peter Sennon is all in holding Q♦Q♥ against Jay K.C. 's A♦Q♠. The flop comes A♥K♥7♦ giving KC the lead with his pair of aces. Unfortunately for Sennon, the 10♦ turn and 5♣ river do not improve his hand and he is eliminated in 11th place. The remaining ten players will now redraw for their seats at the unofficial final table of ten. Facing a raise from Michael Dobbs under the gun, Laurie Hilton shoves all in for just under 1,000,000 from the big blind. Dobbs calls and the players table their hands. The flop comes Q♦8♥8♦ leaving Hilton in the lead. She maintains that lead when the turn comes the 8♠. 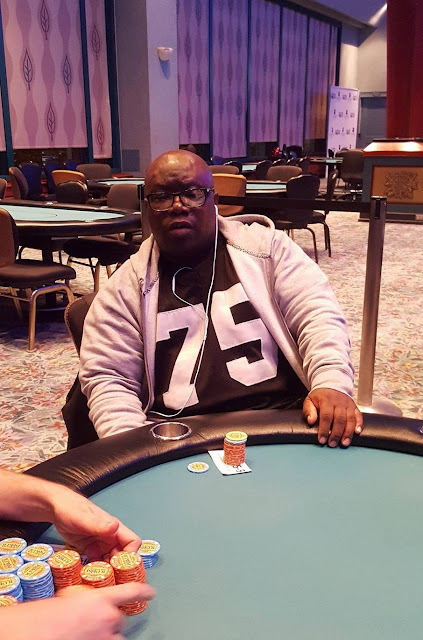 But the K♠ river gives Dobbs the bigger boat, eliminating Hilton in 14th place. 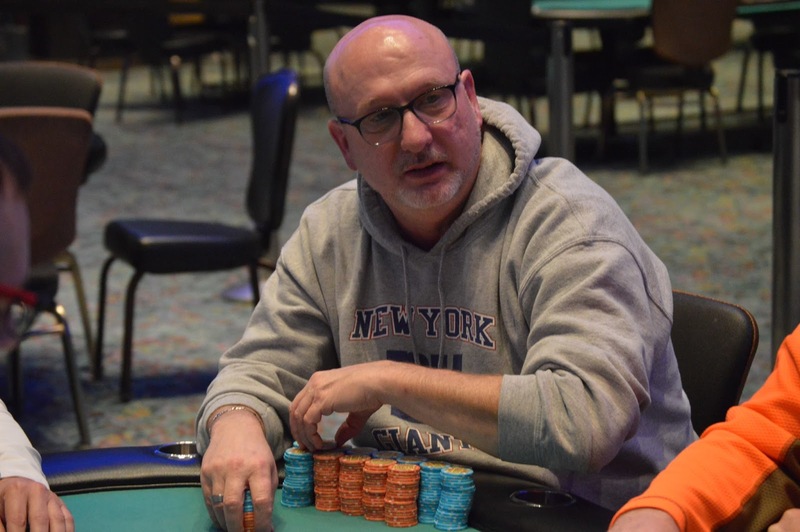 According to Tony Mascia, he doubled up the very first hand of the day. 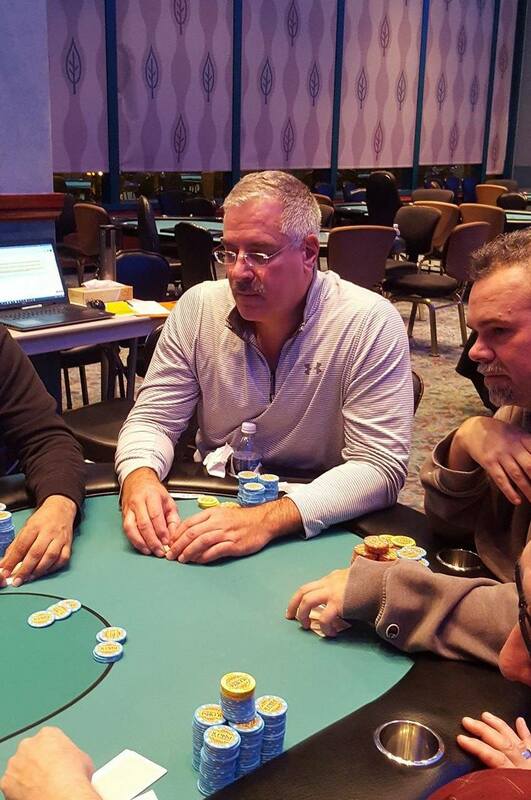 Ian Marderness raised to 100,000 from under the gun and Tony Mascia shoves all in on the button for 415,000. 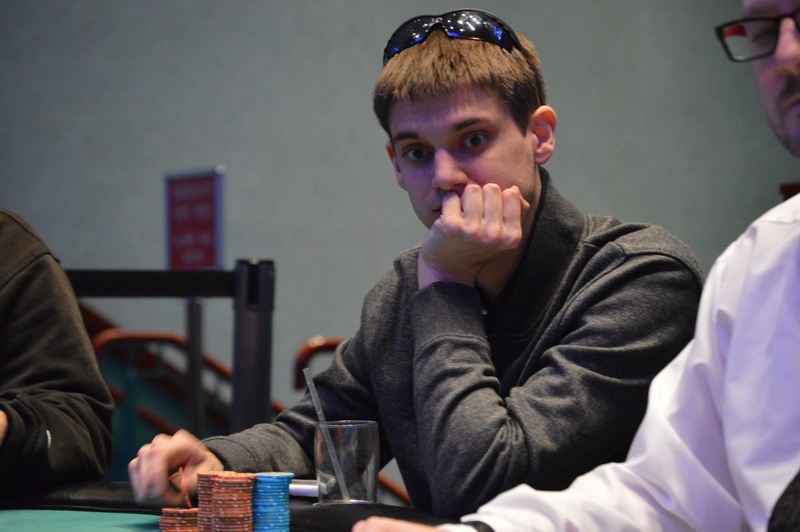 Daniel Podheiser reraises to 730,000 from the small blind, and Marderness folds. The flop comes Q♥J♣4♠ giving Podheiser the commanding lead with a set of jacks. He maintains that lead when the turn comes the A♥. But the 10♣ river gives Mascia the Broadway straight to win the hand and double up. Play is now underway for the final 16 players in Event #1. All of these players are guaranteed a payday of at least $5,254, but all have their sights set on the $97,845 first place prize. The top three spots will receive a $3,500 package to the PPC Aruba World Championship. Packages are transferable. Two starting flights. A and B. Day one play will end after Level 15. Flights will combine to play Day 2 on Thursday December 8th at noon. For a full list of Day 3 players along with chip counts and seating assignments, please see this link. Play will resume for the remaining 16 players at 12:00 noon on Wed. Dec . 6th at Level 27 (20,000/40,000 blinds and a 5,000 ante).